Season subscription tickets to the 2017-18 Jazz Series and Chamber Music Society of Lincoln Center Concert Series are now available at special rates. Ticket prices: All ticket prices include service fees and are the same no matter the purchase point. No additional fees will be added. All concerts start at 7:30 p.m. All concerts include a post-concert party for concert ticket holders. For more information on ticket packages, visit scmc-online.org/. St. Cecilia Music Center (SCMC) in Grand Rapids will begin a dynamic new season of music featuring the best musicians in chamber, jazz and folk music beginning on October 26, 2017. 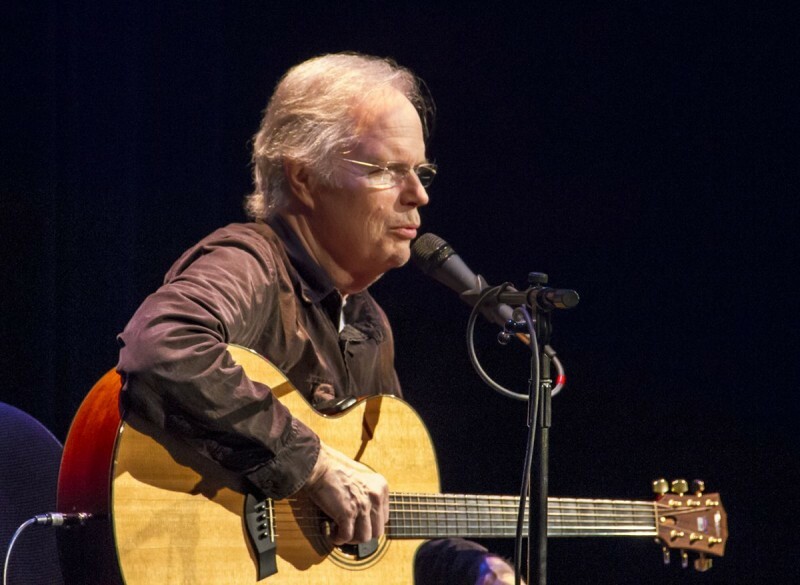 Amazing acoustic guitarist Leo Kottke will launch St. Cecilia Music Center’s Acoustic Café Series on October 26, 2017. Kottke has been awarded two Grammy nominations; a Doctorate in Music Performance by the Peck School of Music at the University of Wisconsin, Milwaukee; and a Certificate of Significant Achievement in Not Playing the Trombone from the University of Texas at Brownsville with Texas Southmost College. 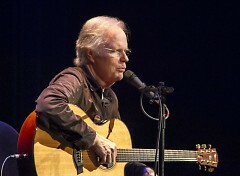 Kottke has performed for decades. His debut album “Twelve String Blues” was released in 1968 closely followed by records “Greenhouse” in 1972 and “My Feet Are Smiling” and “Ice Water” in 1973, which found him branching out with guest musicians and honing his guitar technique. After two decades, Kottke reappeared in collaboration with Phish bassist Mike Gordon, performing "Clone," which caught audiences' attention in 2002. Kottke and Gordon followed with a recording in the Bahamas called "Sixty Six Steps," produced by Leo's old friend and Prince producer David Z.
SCMC formed a partnership four years ago with the syndicated Ann Arbor based radio show Acoustic Café and its host Rob Reinhart. “The Acoustic Café” radio show is syndicated to over 100 commercial and non-commercial stations throughout the country and airs locally in Grand Rapids on WYCE on Friday mornings. The Acoustic Café series at SCMC presents the opportunity for a live taping with the artists and Rob Reinhart while visiting SCMC. The Chamber Music Society of Lincoln Center 2017-18 season begins on November 2, 2017 with a program entitled Essential String Trios with co-artist director and cellist David Finckel performing with violinist Arnaud Sussman and violist Paul Neubauer. The program will include the works of Beethoven, Mozart and Penderecki. The string trio—violin, viola, and cello—is the chamber music connoisseur’s delight. In the hands of master composers (and virtuoso performers) the string trio offers a peak listening adventure of stunning variety, engrossing dialogue, and transparent beauty. 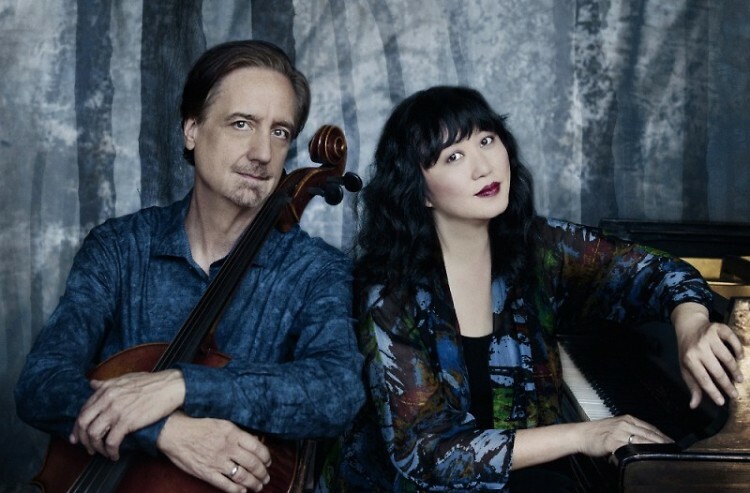 The outstanding Chamber Music Society of Lincoln Center will perform a total of three times during the 2017 / 2018 season with CMS Artistic Directors Wu Han and David Finckel featured in two of the three concerts. Additional Chamber Music Society of Lincoln Center performances will take place on January 18 and April 19. The January 18 program will feature co-artistic director and pianist Wu Han, pianist Michael Brown, violinists Chad Hoopes and Paul Huang, violist Matthew Lipman and cellist Dmirtri Atapine performing the works of Brahms and Dvořák. The April 19 performance includes pianist Gilles Vonsattel, violinists Ida Kavafian and Erin Keefe, violist Yura Lee, cellist Nicholas Canellakis and clarinetist Tommaso Lonquich performing Mozart, Weber and Brahms. St. Cecilia’s Jazz “Encore Series” begins on November 16 with Grammy-winning jazz bassist Christian McBride and his trio, followed by prolific writer/jazz pianist Brad Mehldau performing with his trio on November 30. Cathy Holbrook says, “This is going to be a jazz series for the record books at St. Cecilia Music Center! We thought this would be a great season to bring some of our favorite artists from the first 10 years of our Jazz Series, which began in 2007. For our ‘Encore Season' Christian McBride and Brad Mehldau will perform in November 2017, with two of the top jazz vocalists, Gregory Porter and Kurt Elling, making their appearances on February 22 and March 22, 2018, respectively. Season subscription tickets to the 2017-18 Jazz Series and Chamber Music Society of Lincoln Center Concert Series are now available at special rates by calling 616-459-2224 or visiting St. Cecilia Music Center at 24 Ransom NE, Grand Rapids, 49503. Single tickets to chamber, jazz, and Acoustic Café concerts are also on sale now and can be purchased by phone at 616-459-2224 or online at www.scmc-online.org. For each concert a post-concert party is open to all ticket-holders giving the audience the opportunity to meet the artists and obtain signed CDs of their releases. There will also be pre-concert receptions for the CMS of Lincoln Center concerts and the Jazz Series concerts featuring wine and hors d'oeuvres for $15 per person.